Description: This manuscript is the translation of a memoir by Johnson that was published in French, has never before been translated, and is virtually unknown. 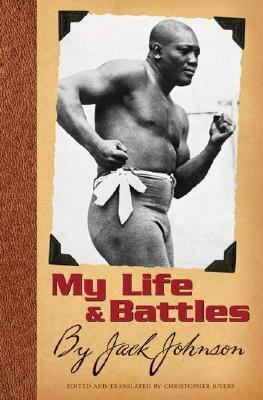 Originally published as a series of articles in 1911 and then in revised form as a book in 1914, it covers Johnson's colorful life and battles, both inside and outside the ring, up until and including his famous defeat of Jim Jeffries in Reno, on July 4, 1910. 127 pages. Viewed: 1,414 times since September 4, 2012.